A new round of sanctions has been imposed on North Korea, and an answer has been found to the question, “What more can they ban?” The sanctions affect North Korean diplomats, who must henceforth be subject to enhanced “vigilance over the diplomatic personnel of the Democratic People’s Republic of Korea, in a provision aimed at halting any activities that could contribute to the country’s weapons programme.” In other words, North Korean diplomats who may be involved in developing nuclear arms must be kept under surveillance and searched for large sums of cash when they are suspected of carrying money intended for the country’s nuclear and ballistic missile program. The new document obligates UN member states to prevent bank transactions and the transfer of large amounts of cash to North Korea, the establishment of mixed financial companies, and the opening of North Korean banks that may contribute to the production of weapons of mass destruction. North Korean accounts can be frozen, and ships and aircraft can be detained and inspected for suspicious North Korean cargoes. 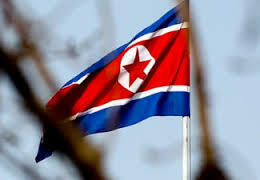 The UN Security Council has also banned deliveries of luxury goods to North Korea, including yachts and sport cars. Leaving aside the question of whether Kim Jong-un will suffer if he cannot sail on a ritzy yacht (or if he even has one), let’s turn our attention to more important matters. The new sanctions are interesting because, while they are officially intended to protect the system of international law that includes the authority of the United Nations and its Security Council, they actually deep-six it, and they do so quite efficiently. At issue is the violation of diplomatic immunity. It would be hard to call it anything else when diplomats can be searched on the grounds that they might be carrying money associated with the nuclear missile program. The technique comes from the US Patriot Act, under which it is acceptable to “shoot first and ask questions later” in the global war on terrorism. These measures allow accounts and fund transfers to be blocked or ships inspected on the basis of a suspicion; and no apology is needed if the suspicion does not pan out, even though seizing accounts does a lot of harm — from financial losses to damaged reputations: Public opinion is accustomed to the fact that such actions are based on hard evidence, not suspicion. The United States has simply legitimized the unilateral sanctions it unofficially imposed on North Korea a long time ago. North Korea has for years been denied access to the system of payment transactions to the extent that every dollar transferred from North Korea has been blocked and, at best, returned to the originating bank. Even Russian diplomats serving in Pyongyang cannot use Western services, which are blocked simply because they are located in North Korea. But now it has been made official, and both America and its allies are formally obligated to conduct themselves accordingly. History gives us a good illustration of the scope of the abuse this kind of thing enables. A similar principle was applied to Iraq, where “2500 facilities potentially suitable for the production of chemical or biological weapons were identified.” They included almost the entirety of the country’s food and chemical industry, and all were destroyed. So if the new sanctions are applied zealously, we will get a blockade that does not look like a blockade, and any North Korean economic activity can now be torpedoed based on the suspicion that it is actually linked to its nuclear and missile program. That reveals the true role of economic sanctions, which are a political means of strangling a country, and are not limited to North Korea. Frankly, I know of no instance in which sanctions were the chief means of forcing a regime to change its stance. Instead, they are an ideal way to destabilize a government because they affect the standard of living of the people more than the interests of the ruling elite. It is unclear to what extent these sanctions will actually help resolve the nuclear problem because this kind of thing has been tried before in the six-party talks. At a time in late 2005 when the situation was improving (Pyongyang had promised to postpone a nuclear weapons test as a first step towards gradually making the Korean peninsula a nuclear-free zone), Washington announced it was imposing sanctions against eight North Korean companies accused of money laundering, drug trafficking and funding North Korea’s nuclear programs. In addition, the United States froze North Korean accounts in Macau’s Banco Delta Asia worth $25 million. That was very unpleasant for Pyongyang given its acute need for foreign currency, and North Korea saw it as an attempt to cut it off from the global financial system and send a signal to banks doing business with North Korea that they should stop doing so or face possible problems with the United States, especially since subsequent events caused Asian banks to actually cease cooperating with North Korea for fear of similar consequences. It was during the break in the negotiations caused by these sanctions that North Korea conducted missile launches and a nuclear test in 2006, which forced the West to be more constructive. Meanwhile, South Korean experts carried out an independent investigation of the North Korean accounts and demonstrated that $16 million of the $24 million had been obtained by lawful means and that the criminal nature of the remainder was highly questionable. Although the money that had been seized was no longer considered criminal, the banks were hesitant about returning it to North Korea for fear of being blacklisted. The problem was not solved until late 2007 when Russia transferred the money through its banking system. Therefore, a conspiracy-minded person or simply someone who noticed that the United States had made a hash of things might conclude that such strange US actions prompt North Korea to advance its nuclear program and stop cooperating: So long as North Korea is moving in this direction and sees no other option, it is functioning as a bogeyman and providing a convenient justification for the US return to Asia and its increased military presence there, which is actually directed against China and Russia. Incidentally, while we are talking about the involvement of China and Russia, none of the North Korean nuclear resolutions encountered much opposition from the permanent members of the Security Council. Russia and China softened the measures as possible, but they voted unanimously for the final draft. As permanent members of the Security Council, Moscow and Beijing of course cannot avoid condemning attempts to violate the nonproliferation regime and consistently emphasize the resolutions of the organization they represent. However, considerations of border stability and overall strategy are present and are no less important. That is because the allies of the United States have already begun asking whether the sanctions can be observed to the extent and as zealously as planned. That applies especially to actions by China, which is North Korea’s chief official and unofficial trading partner. The Japanese expert Shunji Hiraiwa has noted that the previous resolutions could have produced the desired results if China were serious about applying sanctions. But China has so far felt that it would be counterproductive to put too much pressure on the North. And considering that countries have been given discretion in ship inspections to decide whether a cargo is related to the nuclear or ballistic missile program, the effectiveness of the new measure may depend on China. My final thoughts can be summed up in one sentence. The passage that says the strictness or weakness of the laws can be offset by not observing them affects countries other than Russia. The new sanctions have greatly complicated the overall situation in the region, but it is not at all clear how effective they will be against what they are officially intended to counter. Therefore, the forces that are concerned with finding a real solution to the problem rather than devising a clever way of undermining Pyongyang need to think about other ways of solving the problem.